Buckingham Town Council required a larger council chamber and administration facilities and to improve disabled public access. The scheme involved the extension of the existing community centre to provide a purpose built chamber to seat 16 Councillors with a public gallery, incorporating audio visual and exhibition facilities, a reconfigured reception area, new offices, additional internal storage and public toilets. The extension incorporates solar hot water and photovoltaic panels to reflect the Council’s awareness of and commitment to energy economy and sustainability. The existing architectural language of the building, in terms of form, detail and materials, has been applied to the scheme so that the extended building fits seamlessly with the existing. 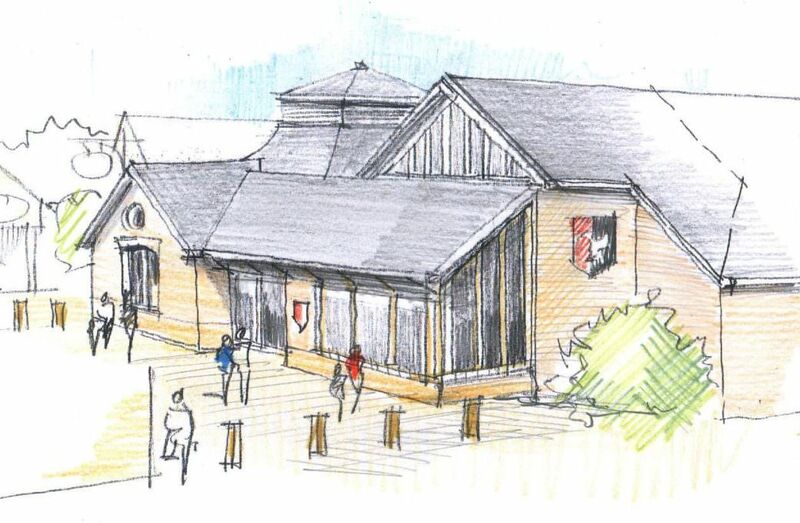 The design allows the Town Council to expand their facilities and provide much greater accessibility to the public and provide much needed public toilet accommodation. The design responds creatively to the existing building and provides a more active and welcoming façade to the public realm, without detriment to movement or amenity. Indeed passive surveillance will increase the sense of security. The scheme will improve the setting and gives the opportunity to increase public engagement in local government.